Whenever you aim to install third part software in you computer so they prompt you to disable user account to install this software specially when you are in installation process of skin pack . so this post will help you to disable your user accounts in window 7. Follow simple steps to Disable User accounts control in window 7. Select Change user account setting and open it. 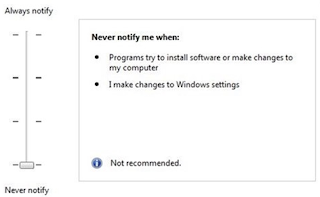 Change the notify setting to never notify and apply setting. 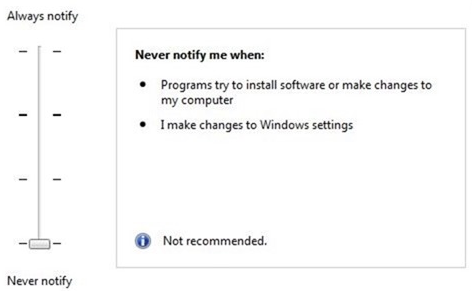 Now your computer not interrupt you in installations of software. go and install any software you want.